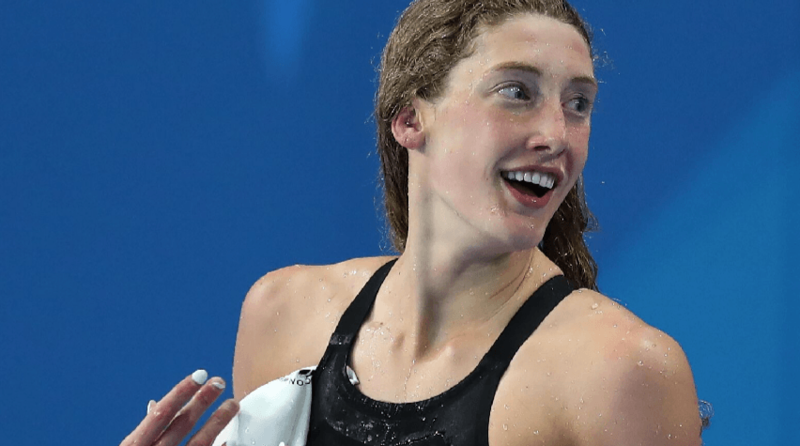 Last August, Canadian Taylor Ruck sandwiched herself between Baker and Smith in the finals of the 200 meter backstroke at the 2018 Pan Pacific Championships in Tokyo, winning the silver medal in 2:06.41. 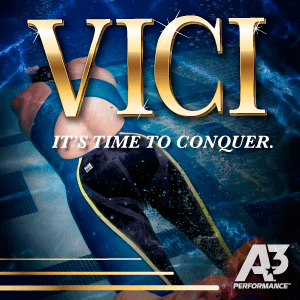 (Ruck also won the 200 meter freestyle at Pan Pacs, taking down mega stars Katie Ledecky and Japan’s Rikako Ikee.) This year, Ruck has been 1:48.67 in yards, which would have been fast enough to win silver at last year’s NCAA Championships behind Baker. Ruck is only a freshman and has never experienced the NCAA Championships, but given that she has raced at Pan Pacs, the Commonwealth Games, and the Olympics, it would not be accurate to call her a true “rookie,” despite her first-year status. For lack of a better word, the 200 backstroke is stacked. It wouldn’t be a total surprise if either of the 2018 silver or bronze medalists in this event, Kentucky’s Asia Seidt or Wisconsin’s Beata Nelson, the only two returning ‘A’ finalists from 2018, hit the wall ahead of Ruck. However, Ruck’s can’t-stop-won’t-stop trajectory at both the NCAA and international levels could signal that she has not hit her highest achievement of 2019. 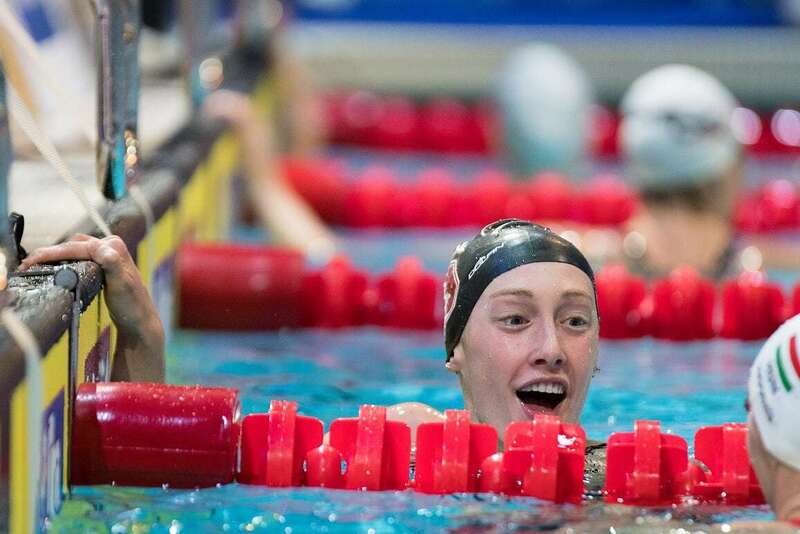 While Ruck’s 1:48.67 is impressive, it’s not the fastest in the NCAA this season, as she trails fellow Stanford Cardinal Ella Eastin (1:48.53), who will not be swimming the 200 back at NCAAs, and Wisconsin’s Beata Nelson (1:48.47), the recent American Record holder in the 100 yard backstroke. At the 2018 NCAA Championships, Nelson placed third behind Baker and Kentucky’s Seidt, who out-touched her by a mere three-one hundredths, thanks to a blazing fast final 50 split. Nelson’s best time this season is nearly a full second faster than Seidt’s, and with her record-setting performance in November in the 100, a case could be made that Nelson maybe ought to be considered a “co-favorite” for the title in the 200 alongside Ruck. 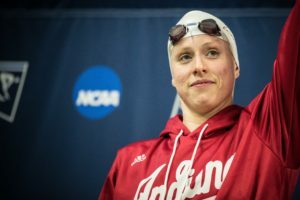 So far, Nelson has improved her time in the 200 back by precisely eight-tenths this season. Asia Seidt is one of only three top-8 seeds that has not swum a personal best this season. Despite that, she is still the third-fastest competitor entered in the race, and has been 1:49.3 twice this season. Placing top-3 again should be within her ability, though she will receive some heat from teammate Ali Galyer, who enters the meet seeded 4th. 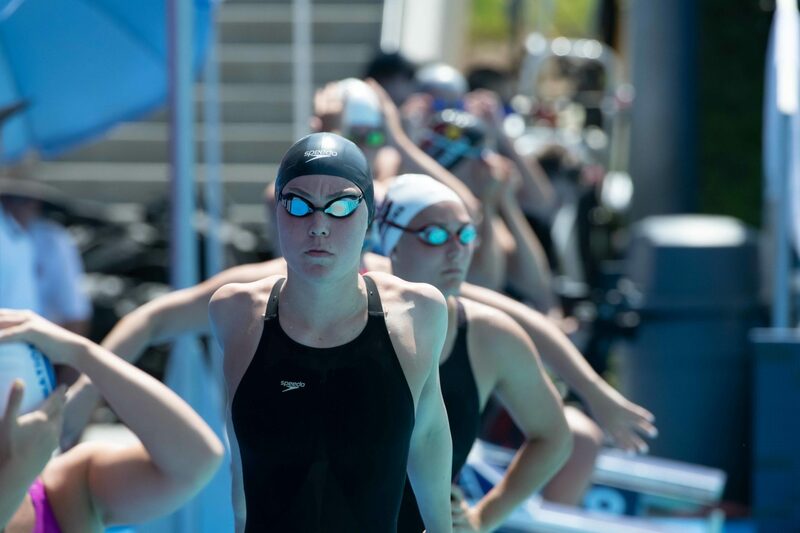 Last summer, Galyer garnered international racing experience at Pan Pacs where she represented New Zealand and placed 8th in the 200 meter backstroke in 2:10.26 (LCM). Galyer, like Seidt, will not only be hunting a spot in the ‘A’ finals, but also a new PR, having set her current lifetime best of 1:50.16 at this meet in 2018 in prelims. In finals, Galyer added nearly a full second, yet still managed a 6th-place finish. 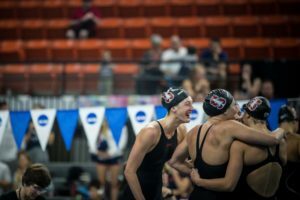 Eight different women will come to the 2019 NCAA Championships with season and/or lifetime bests between 1:51.99 and 1:51.00. Only five women, one whom is not racing the 200 backstroke at this meet (Ella Eastin), have been sub-1:51.00 this season, which makes determining likely ‘A’ finalists in this event interesting. Among the eight 1:51s are Stanford junior Erin Voss, Virginia junior Megan Moroney, Stanford freshman Lucie Nordmann, and NC State freshman Emma Muzzy. 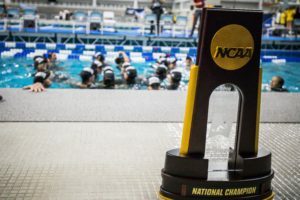 Voss and Moroney were both ‘B’ finalists in 2018, placing 11th and 10th, respectively, whereas Nordmann and Muzzy are both newcomers to the NCAA Championships, though Muzzy took down Moroney at the 2019 ACC Championships, touching 1:51.66 to Moroney’s 1:51.98. Voss and Nordmann, meanwhile, completed a huge 1-2-3-4 Stanford sweep at the Pac-12 Championships, finishing 3rd and 4th, respectively, behind Eastin and Ruck. 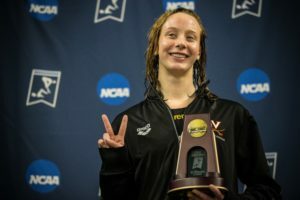 Virginia’s Paige Madden is an easy pick for a dark horse, despite not getting a second swim at the 2018 NCAA Championships. Madden’s best time of 1:51.81, recorded at the 2018 ACC Championships, proves that she has the ability to swim a point-scoring time. If she can manage to improve beyond her current PR she could find herself in the ‘A’ final. Another dark horse to consider is California’s Keaton Blovad, who enters the NCAA Championship seeded 10th with a 1:51.73. What’s exciting about Blovad is that prior to the 2019 Pac-12 Championships, her best time was 1:51.31–respectable, but not competitive at the NCAA Championships. Since dropping over one-and-a-half seconds in 2019, it will be interesting to see what else Blovad has in store. Furthermore, 6th seed Chantal Nack of Minnesota ought to be considered a threat for a spot in the ‘A’ final. Nack’s high ranking and impressive 1.3-second time drop this season could propel her into the top eight after prelims, if she can replicate or improve upon her results from the 2018 B1G Championships. They hyped MA all those years over everyone’s objection and look what happened. Maybe they know something you don’t. That hes good at 50s? In metres…no individual Pac-12 titles…yet swimswam is basically crowing her swimmer of the meet according to the previews they’ve done so far. Lol you keep crapping on SwimSwam but why don’t you put your picks out there so we can all come back and tell you when you’re wrong? Ruck is arguably a better LC swimmer, but she is no stranger to SCY. She spent many years at Scottsdale and had a lot of success as a age group swimmer there. I think the bigger question is her consistency. Seems like has a larger difference between her good meets and her not-so-good ones than many other swimmers at her level. I can’t wait to see which Taylor Ruck shows up. I hope Commonwealth Games/Pan Pacs Taylor lines up on the blocks and brings her “A” game to NC’s, because that athlete is hard to beat, and very exciting to watch… but, if it’s the 2017 Canadian Trials version of Taylor who shows up, then it’s going to be a tough week for her. That was an accident that nobody could find explanation for including her and her coach. She is a real deal who may have some not great meets but it will be never like 2017 trials. Disagree. I think the mystery of 2017 Trials is easy to parse. 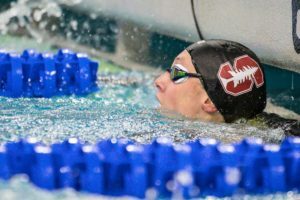 It’s a mindset that’s crept into her swimming at Stanford at times this year. But, so long as she gives herself permission to shine and has the support of her teammates, there’s nobody in the pool that she can’t beat. Just like Dressel couldn’t swim LC because he was only a SC swimmer right? Only his walls were good. Look how that turned out. Ruck is a better LC swimmer than Nelson, and a better SC one too. The 200 Back is probably Ruck’s best chance to win at this years NC’s. It’ll probably come down to a close finish between Ruck and Seidt with Nelson not far behind. Expect to see Ruck go out fast but Seidt to do a better job of race management and close the gap through the last 50. Frankly, Ruck has struggled to close out competitive races this season, so I expect Seidt to get that first touch at the wall. I wouldn’t count out Meghan Small in this one. She swam really well at SECs but didn’t swim this event. Agreed…I would count her as the possible dark horse. Yep, I have Small as 5th on my own picks.